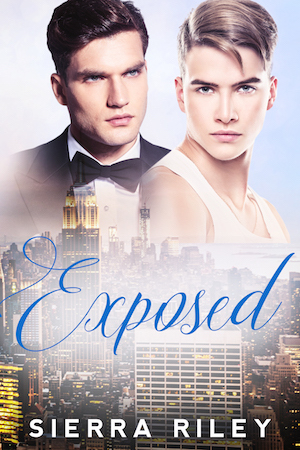 Desperate to pay rent after his ex stole his money, Gabriel Hunter finds himself spotted after interviewing to work for CEO and legendary male ex-model Briar Fields. Before he knows it, Gabriel’s swept off his feet by the glamorous wave of fame, sent to fashion weeks across the globe, and spotted on the streets. He can say the word and everyone will fawn over him. But one thing never changes: the itch he feels for his boss and inspiration, Briar, every time they get close. Briar Fields, CEO of world-famous modeling agency Exposed, takes what he wants but he doesn’t date models. He’s still reeling from a messy breakup with model Austin, who only wanted Instagram fame. Briar’s better off on his own. Cocky, gorgeous, fascinating Gabriel is an obvious pick for the next sensation. But he has to keep his distance, because getting too close as Gabriel rockets to fame is a surefire way to get burned. Both men fear being used again, but every time they meet, the chemistry between them is unbearable. With the darker pressures of the fashion industry squeezing them both to the breaking point, one well-placed word can snap their fragile connection… and Briar’s ex, Austin, would love to grab Gabriel for his own fledgling agency. Can Briar and Gabriel set aside their egos in time to save their hearts and careers?